December is the worst month of the year for someone with basically no self-control (obviously me). I'm broke from all the Christmas shopping but I so want to treat myself. Parks and Rec has not been a wholly positive influence it seems. 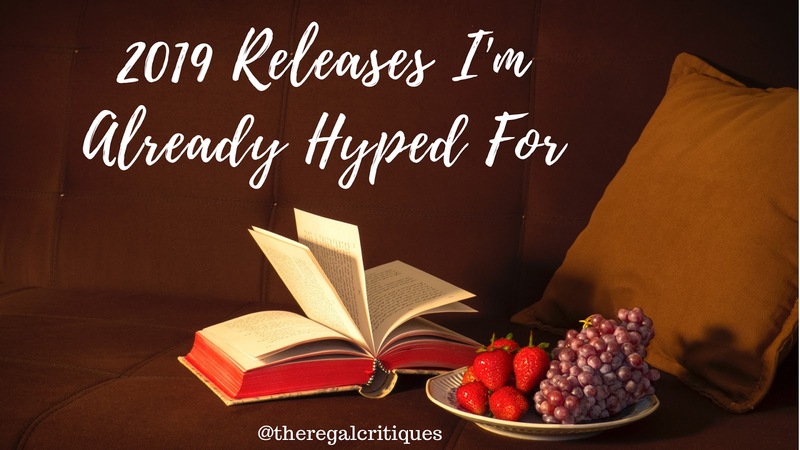 Unfortunately for me (and my bank account) there are some pretty exciting books coming out in December and I am trying oh so very hard not to hit that buy button! One of my favorite things to read on other blogs are non-book related posts. No matter if they are about personal thoughts, hobbies or work/study related stuff, there's something super-cool about seeing different sides of my favorite bloggers. I figured you - even those who are here for the first time, in which case hello! - might want to see the same thing from me? I mean, I'm hella interesting and GREAT, so why on earth wouldn't you!? 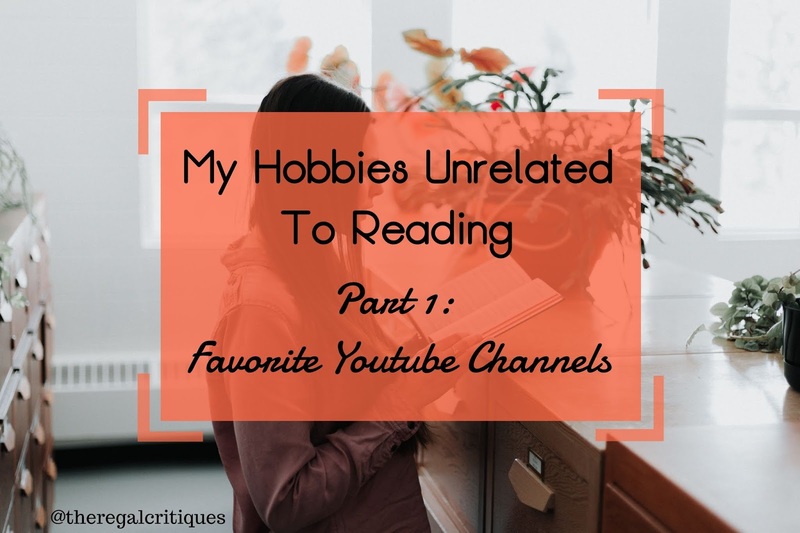 As part 1 of this enlightening series, I brought to you some of my favorite youtube channels; including booktube, unsolved murders, humorous and even some beauty channels. Basically, everything your heart could desire. YOU ARE WELCOME. 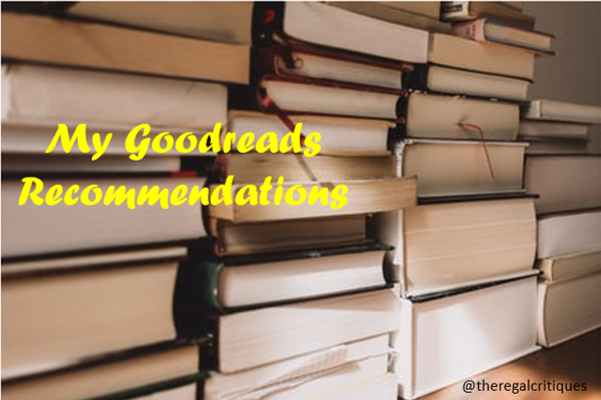 I've been struggling to decide what to read lately so decided to dip into my goodreads recommendations and see what they think I want to read (and how accurate they are). I'll be looking at all the categories and seeing if any work for me! I've not really paid any attention to Goodreads recommendations before so this should be interesting. I had a fairly good reading year in 2018. I read a lot less than I'm used to reading but I don't think there was a single book that I hated? So I'll take that as a win! 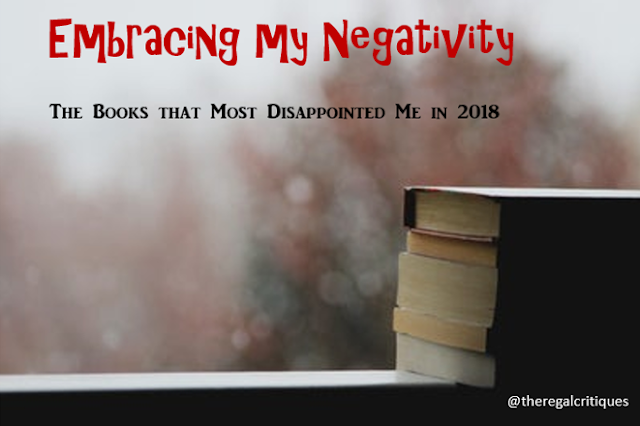 There were, however, quite a few books that fell just short of my expectations and left me feeling very disappointed. These are all books I was SUPER excited for that just... were fine. Personal posts are one of my favorite things to read on the blogs I follow - there's something fun in seeing behind 'the reader' part of bloggers. I've been trying to make my posts - including reviews, lists, recaps etc. - more personal, and I have some non-book related posts lined up for you, as well as (book related) discussions and other fun things that will show my personality more than reviews do. 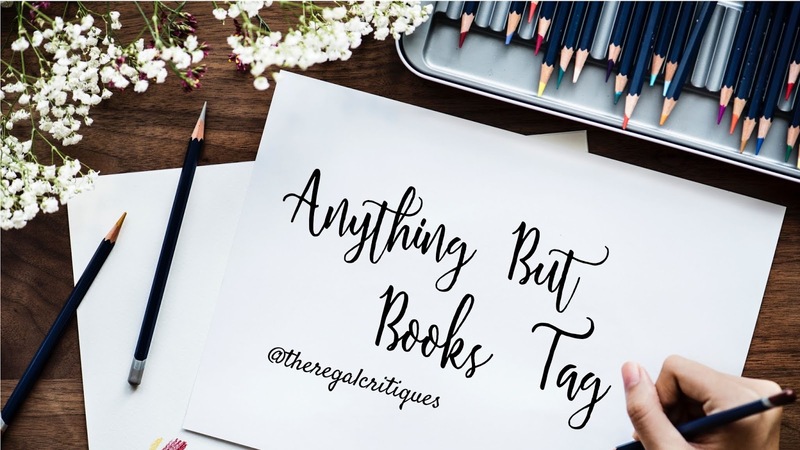 To start off these, I've decided to share a totally non-book related post today, and what is more perfect than the 'Anything But Books Tag'!? As bloggers who pay attention to book-twitter, goodreads and who read quiet a few blogs, Clare and I are quite conscious of new releases. 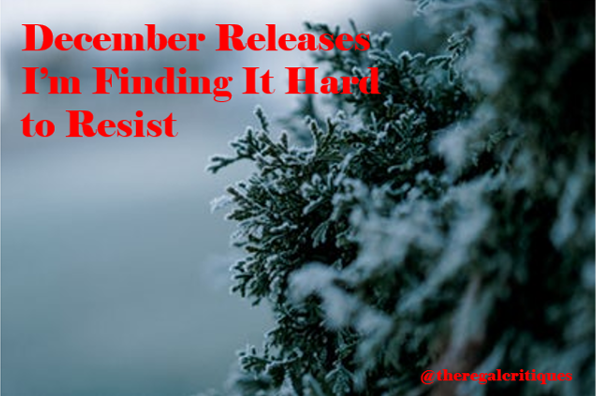 That, of course, means that our tbrs are not only ridiculously long, but we also are filled with new releases that are a lot harder to ignore than backlist titles. 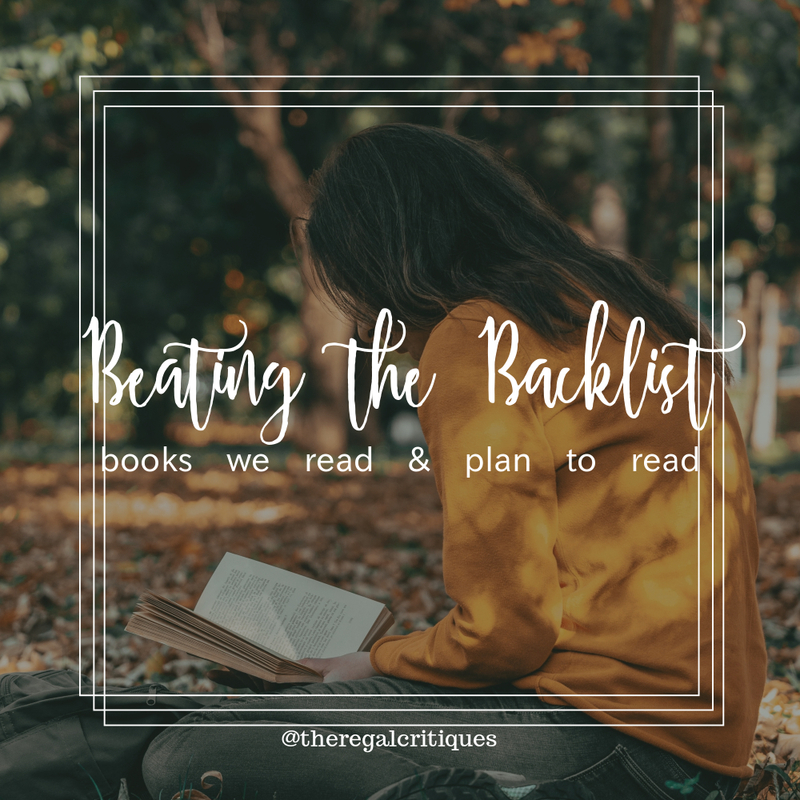 To work on tackling more backlist titles, Clare and I both signed up for Beat the Backlist in 2018, and I'm pleased to say that it definitely motivated me to read more of my older titles. 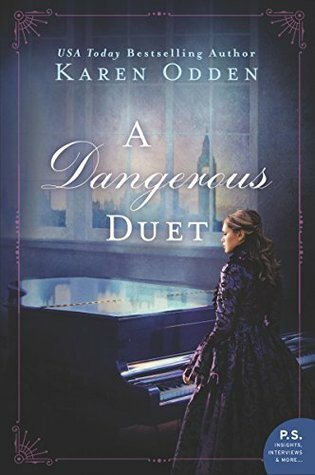 To showcase that we'll both be sharing four backlist titles we loved and adored in 2018 and four that we still need to read. 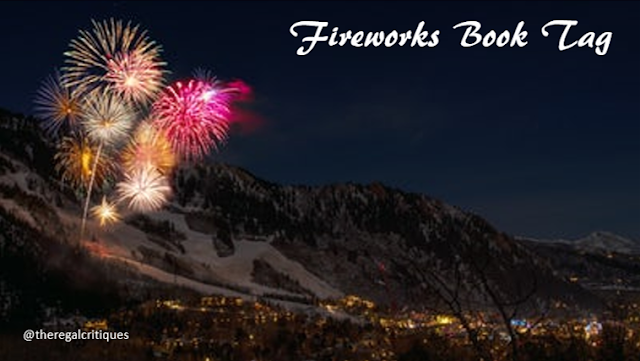 We are just two short days away from Bonfire Night - the last day standing between me and full on Christmas mode (just you wait). If you're not familiar with Bonfire Night it is a night on which we Brits confusingly celebrate the day parliament was almost blown up by blowing things up. What wonderful and sensible traditions we have. To celebrate I decided to try out the Fireworks tag!! You can find the original post here. Hello friends!! Today's post is something I'm super-excited about posting, because while yes, this is a new release post, so it's not THAT outstanding, I'm trying an entirely new format that's supposed to be helpful to you and have most of the information you could need. I'm super-interested in what you think about this post, so let me know in the comment what you like/dislike about this format! !